A claim is paid if the employer or insurance carrier agrees that the injury or illness is work-related. If the employer or insurance carrier disputes the claim, no cash benefits are paid until the workers’ compensation law judge decides who is right. If a worker is not receiving benefits because the employer or insurance carrier is arguing that the injury is not job-related, he or she may be eligible for disability benefits in the meantime. Any payments made under the Disability Program, however, will be subtracted from future workers’ compensation awards. Employers and their insurers often try to maximize profits by undermining or denying valid compensation claims.  At Argyropoulos and Associates LLC, we have extensive experience in workers’ compensation claims, and third-party liability claims. We are dedicated and determined to go after every available dollar of compensation.